Install it using the Web Deployment Package. Download the BugNET .zip file and install it as described in Manually Installing BugNET Using a zip file.  Download the BugNET source code and build BugNET from the command line or in Visual Studio. This topic shows how to install BugNET using the Install and Web Deploy packages. A web server such as IIS Express 8, 7.5 or IIS 7.x. Microsoft SQL Server 2008 Express or greater. When installing IIS, make sure you enable the ASP.NET IIS modules. Also make sure that you run BugNET in an integrated pipeline ASP.NET 4 application pool. Extract the contents of the install package to a folder on your computer. App_Data – This folder is where BugNET stores its database. Create a virtual directory in IIS for the bugnet folder. Right click on the BugNET folder under the default website, click on Convert to Application, if you don’t have that option, choose properties and then add the application. If you are using IIS 7, configure it to run in integrated mode, and configure the application pool to run the .NET Framework version 4. Browse to the website using http://localhost/BugNet/Install/Install.aspx. The installation process will now start. When the installation is complete, you may log in with the admin user account. Create a blank SQL Database (e.g db name ‘BugNet’) on your sql server using a case insensitive collation. Configure the SQL User Security/Account to allow IIS and ASP.NET access to the database in SQL. Right click on the NT Authority\Network Service account and choose properties. Edit the Web.config file with a text editor of your choice. Find the BugNET connection string setting and change the connectionString. Define new SQL Server authentication login information, username/password. From the User Mapping section choose the new BugNET database and configure the db_owner role membership. Click OK. When completed, you may log in with the admin user account. Verify that your application pool in IIS is running under .NET 4. Put App_Offline.html in live BugNET directory. Use WinMerge or equivalent to compare new and old web.configs. Copy across the connection string to the new one. The database is automatically upgraded when you hit the home page. You should see a log of what’s been done plus a “success” message after a few minutes.